Today there is a new 10 Point Gifts To Grow Code: SPC125WINTR12PA (exp. 12/9). Just sign up HERE and start entering codes. 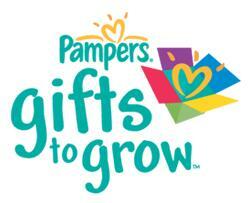 Promo codes can often (especially on holidays) be found on Pampers Facebook page or their Twitter page. Rewards often include such things as prints or cards from Shutterfly, magazine subscriptions, toys or DVDs, and sometimes they offer gift cards.